You are at:Home»Movies»The Mortal Instruments: City of Bones Movie Set, Day 1! The Mortal Instruments: City of Bones Movie Set, Day 1! 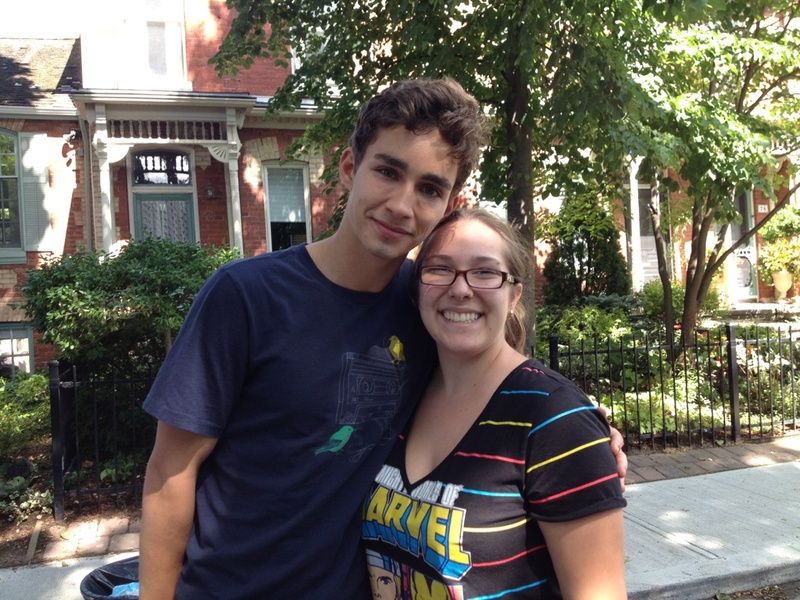 The first day of production has begun on The Mortal Instruments: City of Bones and fans in Toronto are in full swing, bringing us all the goods, including our first look at Robert Sheehan as Simon thanks to Shadowhunting! Lily Collins, Jamie Campbell Bower, and Robert Sheehan are all on set in a residential area of Toronto, filming at Clary’s home. Lena Headey is expected on set soon, but hasn’t been spotted yet. Lily is wearing a turquoise top and a skirt. She met with fans, but told them she was not allowed to take any pictures. Jamie is in black Shadowhunters gear and appears to have some runes on him! Robert told her that he may soon be joining Twitter to help ward off all the fakes, though he currently doesn’t have an account. On top of that, check out these great set photos from Shadowhunting and humilityc! Keep checking back, as we’ll be updating with set news as it comes! Do we have our Valentine?